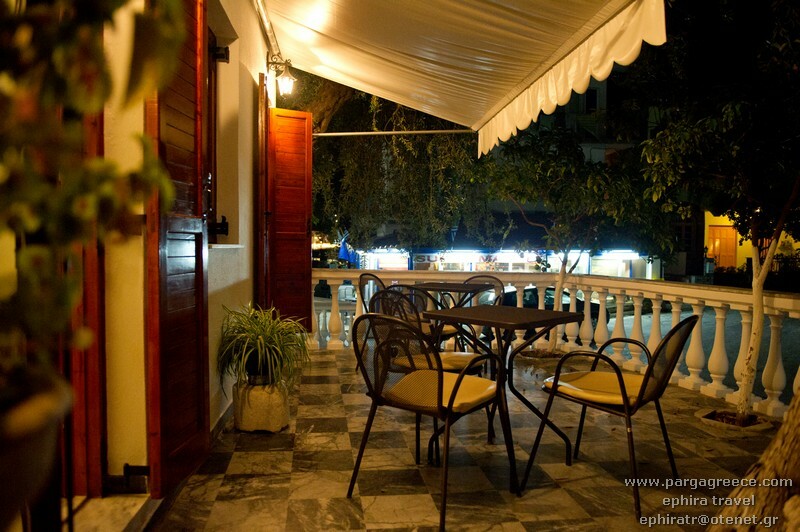 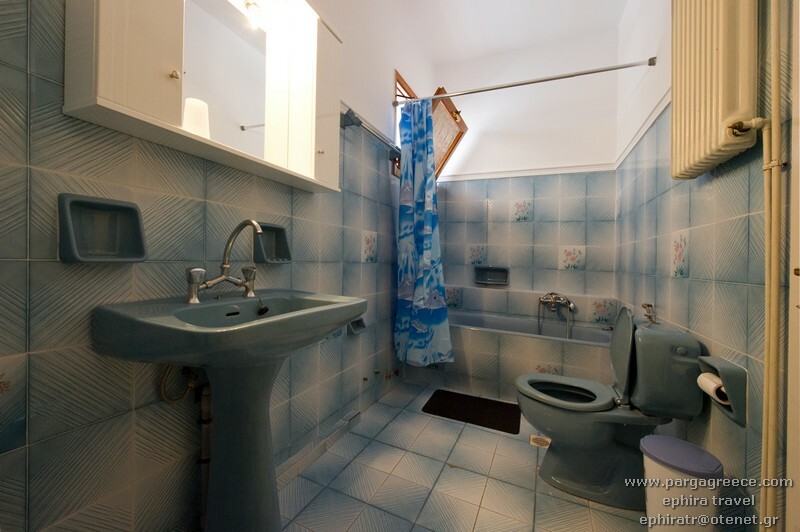 NO 6- PENSION -FEW METERS FROM THE BEACHES OF PARGA AND CLOSE THE CENTRE -PARGA. 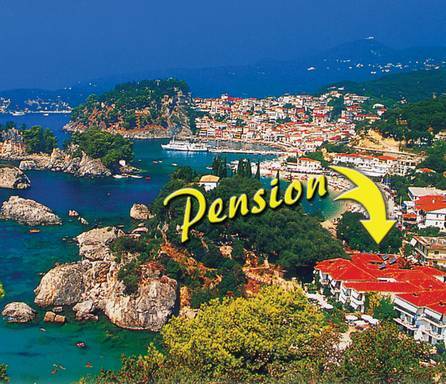 Distance from the center* 200 m.
This Pension, has one of the best situations in Parga, as it is positioned between the two town beaches, called Kryoneri and Piso Kryoneri (30 meters away from each of them). 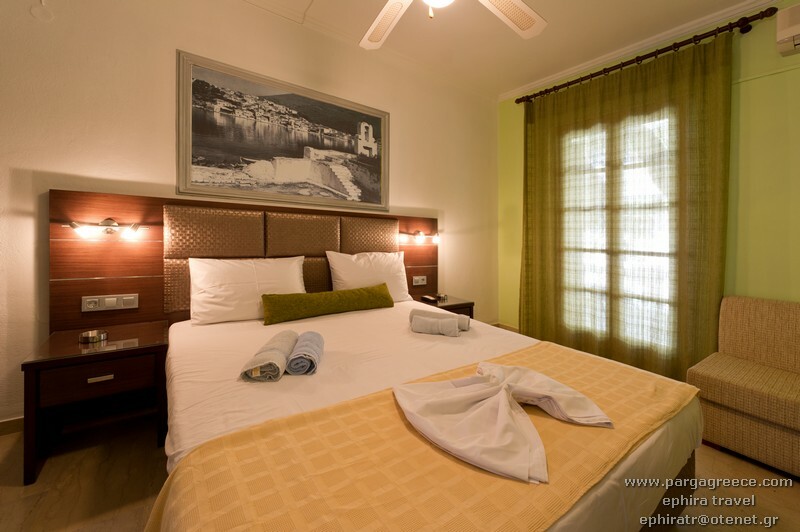 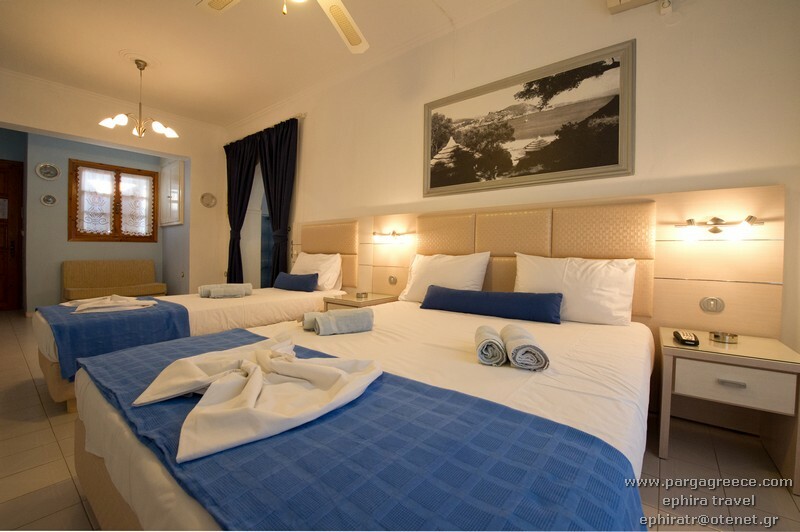 It is only a few minutes walk into the town centre, to the shops and the harbour of Parga. 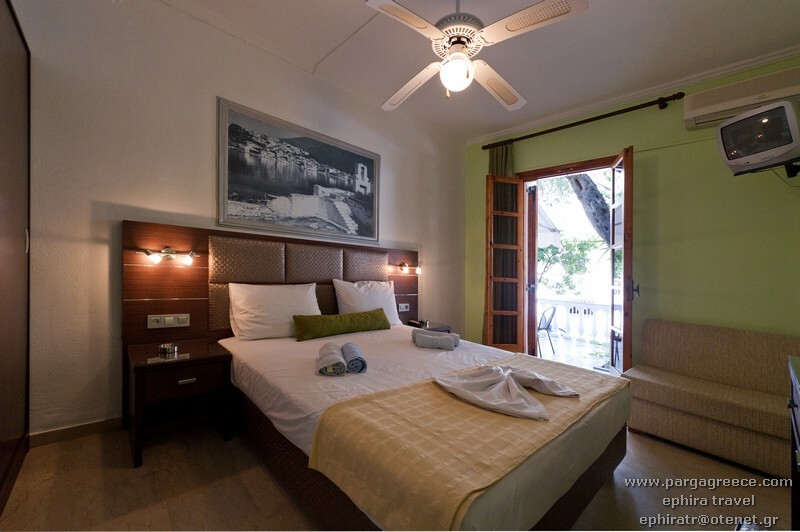 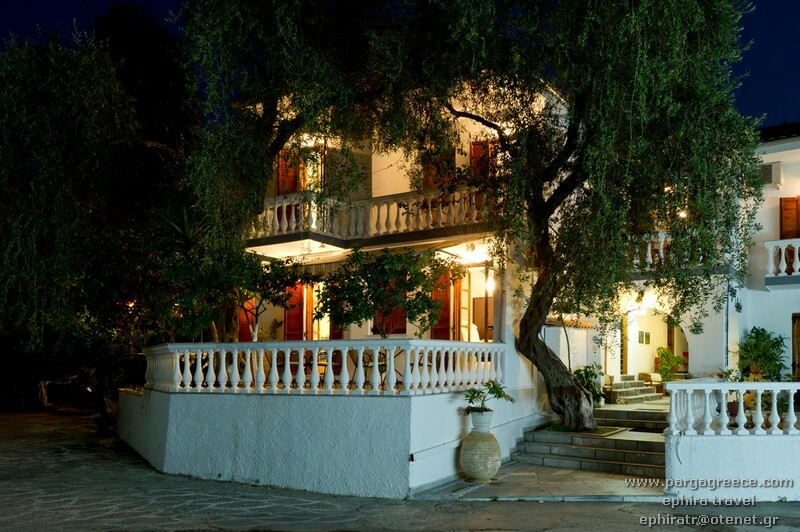 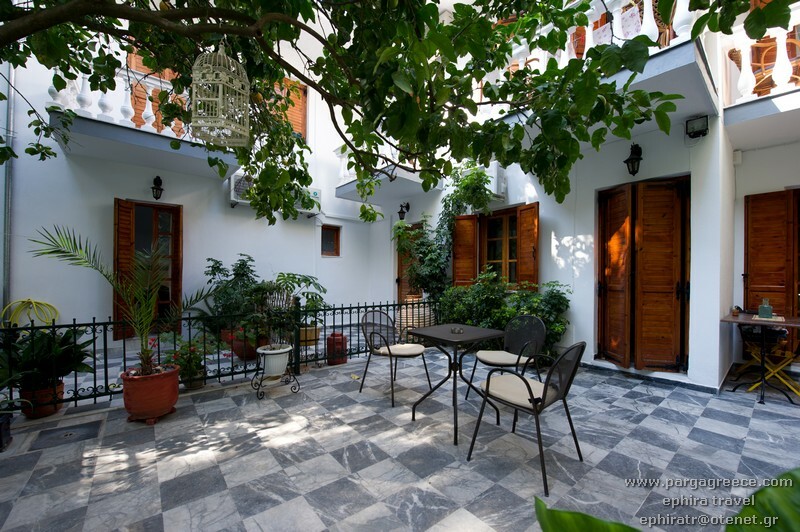 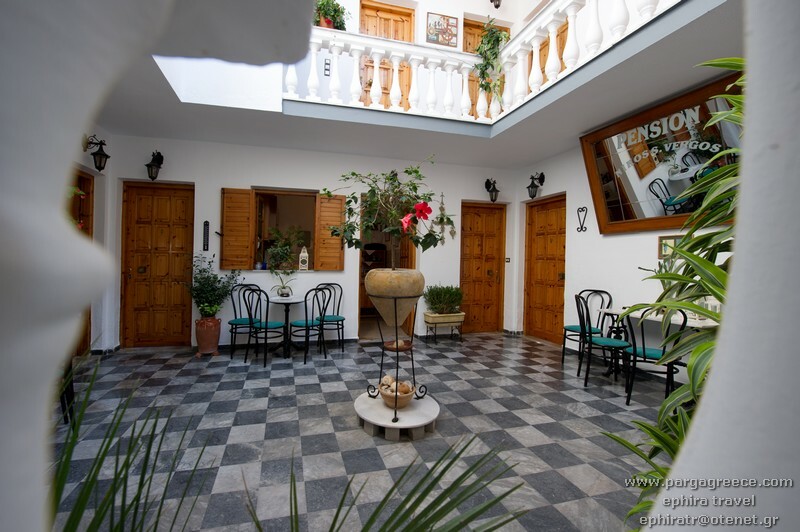 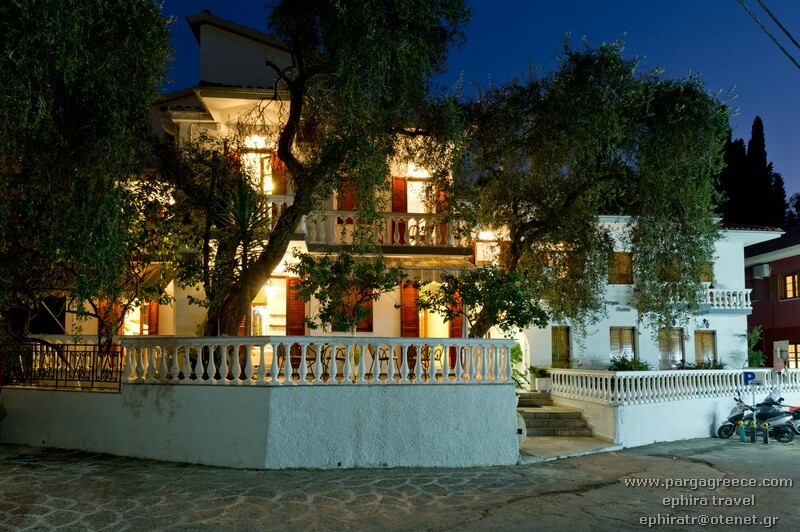 The house has been built in typical Greek architecture, in an attractive style and has been very comfortably furnished. 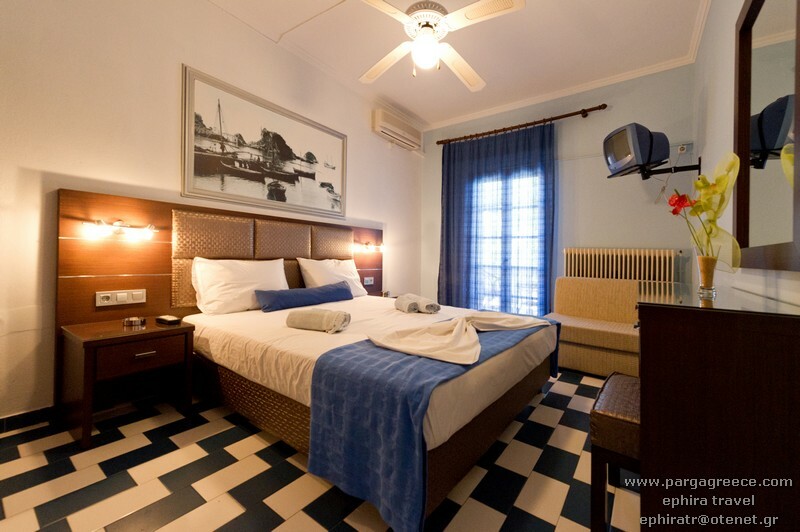 It is now also fully air-conditioned and all bedrooms are en suite and have balconies or a shared terrace. 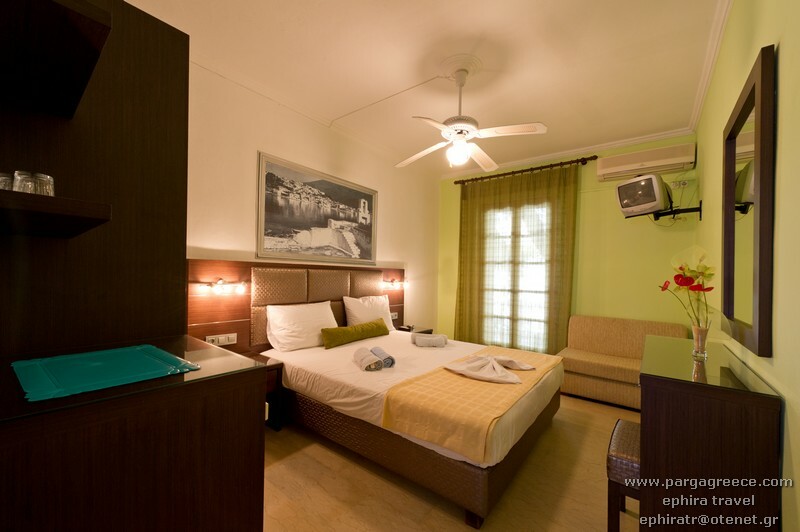 There is also satellite television, a fridge, ceiling fan and safe deposit box in each bedroom. 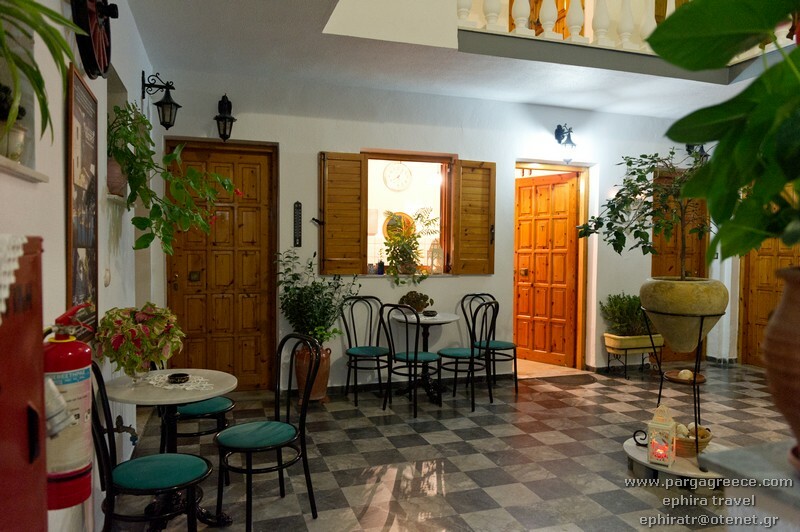 The house offers some Pension Rooms (Fully renovated) with double bed, private bathroom, a small fridge, air-conditioning, television, small safe box and balcony. 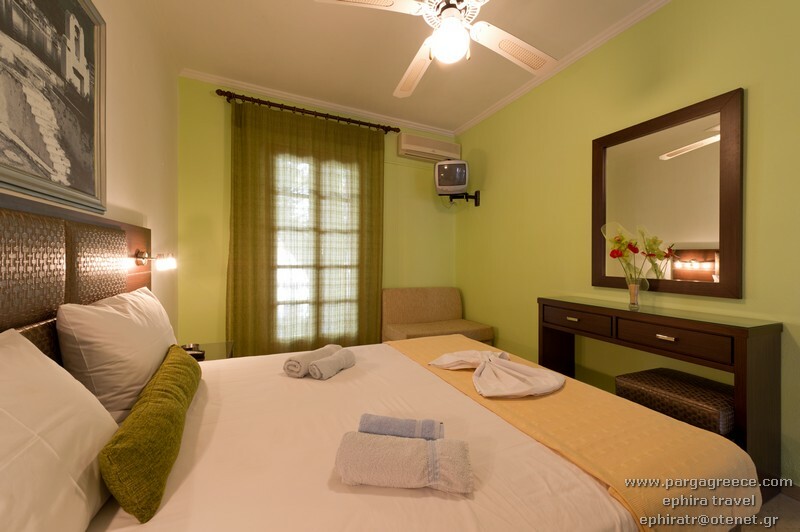 Each Pension room can sleep two persons and even a family of 3 persons. 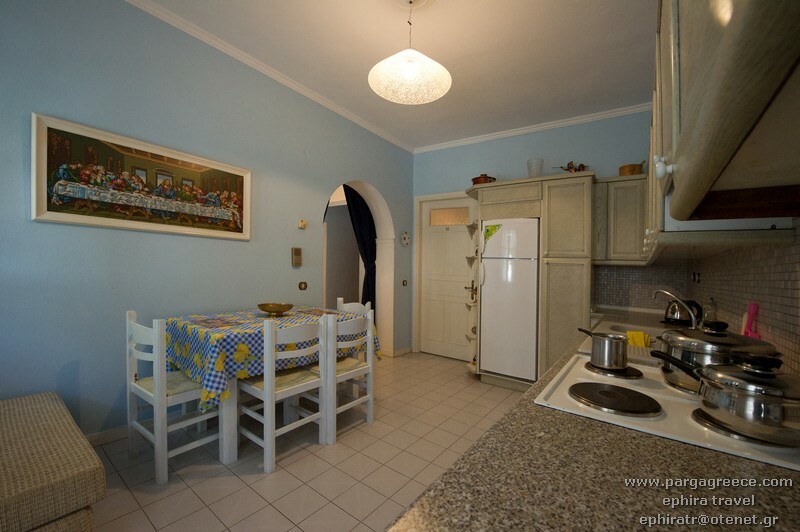 On first floor, there is one nice apartment (of 42 square meters) with a separate bedroom (with a double bed) and a separate kitchen (with one or two extra beds for children) and all comforts for a family of 3-4 persons (two adults plus one or two children). 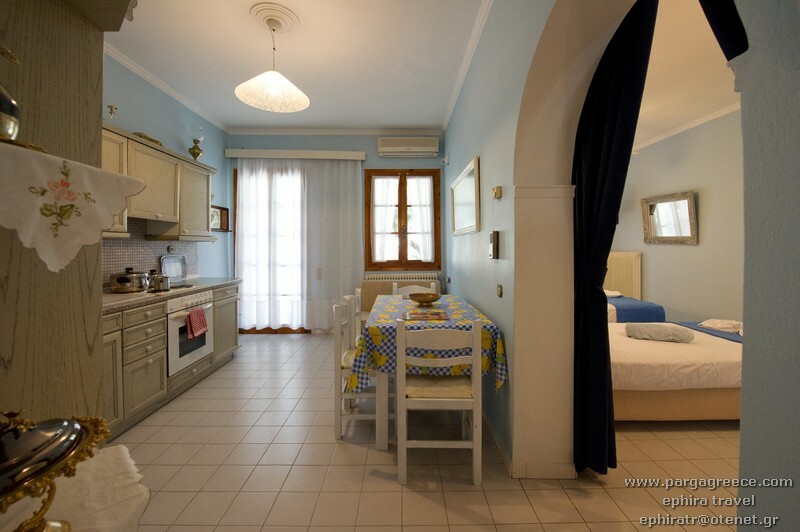 Since 2012 on the upper floor, there is one brand new small apartment for 2/3 persons(with 2/3 balconies) and a brand new large Studio for 2/3 persons with 1 balcony and both with Kitchenettes and private bathrooms, air-conditioning, and flat television. 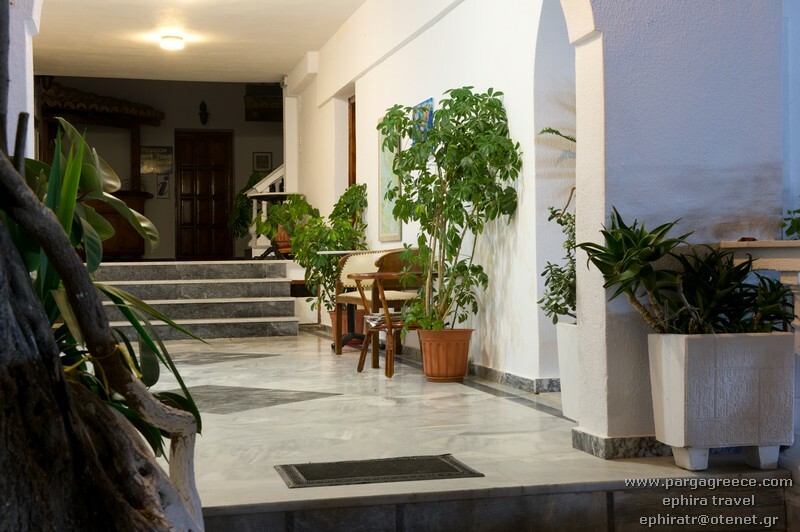 The family will offer you true Greek hospitality and will try to make your stay as enjoyable and comfortable as possible.